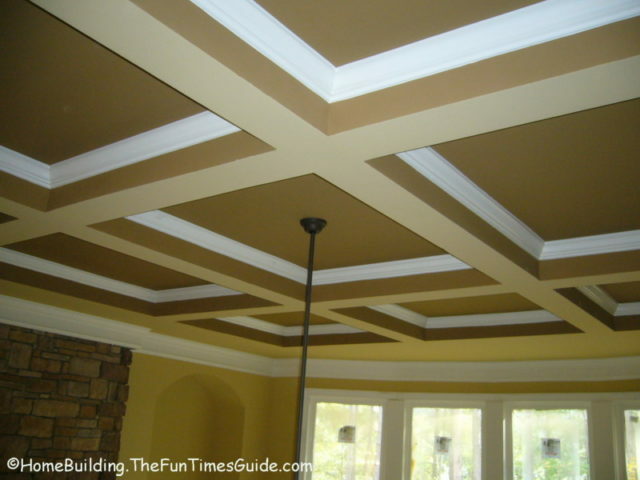 If you are in the planning stages of a new home and have considered different ceiling style options, I would like to offer some ideas for you regarding coffered ceilings. 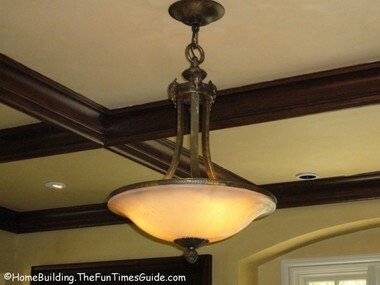 Following are some pictures of the coffered ceilings that I have come across during my own tours of homes being built. Some of them are in the construction/painting phase and others are “consumer ready”. Coffered ceilings really add a luxurious touch to any room, especially when it is a ‘2-story room’. Builders pay particular attention to ceiling architectural details in high end houses and many times coffered ceilings fit the bill. It’s a great way to enhance the beauty of a room.